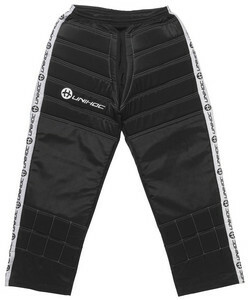 Goalie trousers Unihoc Blocker for modest racing and recreational goalie floorball. 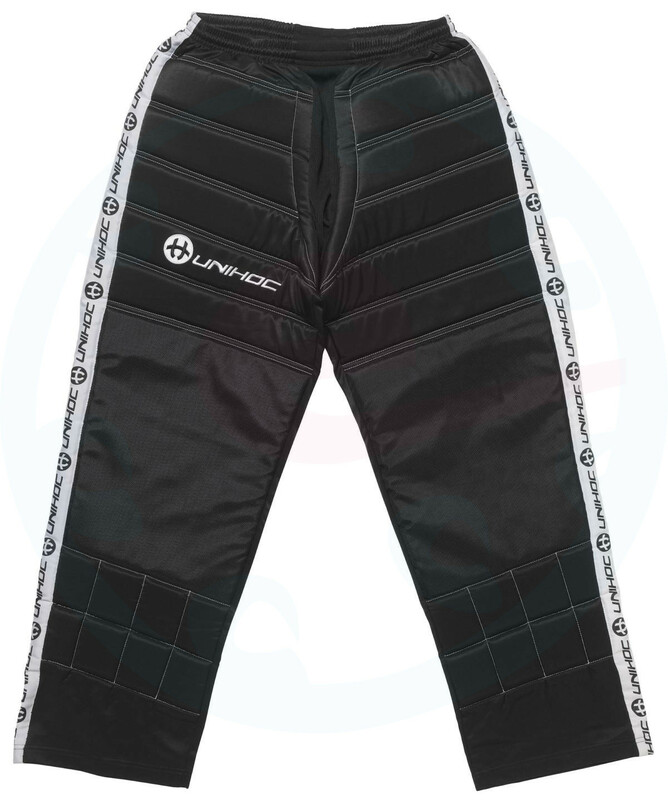 Pants from lightweight but highly durable polyester fibers provide sufficient comfort and a high degree of protection. 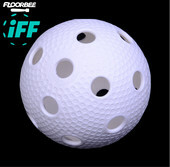 Perfect fit and knee area special reinforced material. Vytlumené and quilted trousers in good quality at an affordable price! The material is lightweight pants polyester fiber that is durable and easy to maintain. In the knees of highly durable material. The waist is fitted with sewn-in elastic. Quilted material in the waist increases the resistance in this stress-place while protecting the hips and gluteal muscles. Pants are available in black with white stripes. If you are looking jersey from the same series for your perfect look on the field, we also offer Goalkeeper jersey Unihoc Blocker.